The IoT Tech Expo is proud to partnering with the Industrial Internet Consortium (IIC) to host a conference stream exploring business outcomes of the IIoTat the Global event on Friday 26 April in London Olympia. 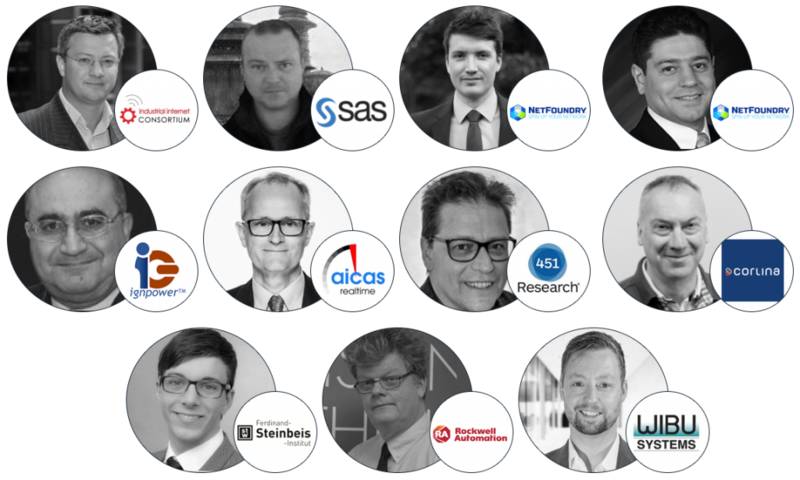 Speakers from the likes of SAS, NetFoundry, AASA Inc., Aicas GmbH, Wibu-Systems and 451 Research will be exploring topics including IoT, Li-Fi, blockchain, AI, edge computing, digital twin, smart cities, privacy and more. The world’s leading IoT event series is set to host the annual Global edition of the show in the Olympia Grand, London on the 25-26 April 2019. The event will feature an exhibition of 300+ companies and dedicated conference tracks exploring smart cities, enterprise IoT solutions, industrial IoT, transport, energy, buildings, developing, data analytics and more. This year’s show will also feature a conference stream in partnership with the Industrial Internet Consortium. controlled to deliver transformational outcomes. who will be sharing their knowledge and experiences of the Industrial IoT. – Farid Bichareh, CTO, AASA Inc.
– Bassam Zarkout, Executive VP, IGnPower Inc.